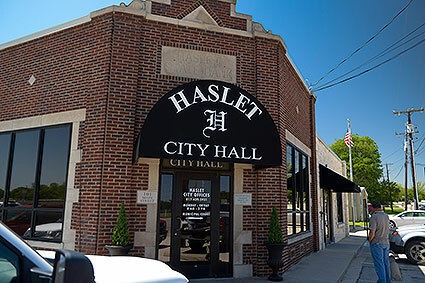 The city government of Haslet is a mayor/council type of government. The city council has six members and a mayor, each of which are elected for two-year terms. Mayor Bob Golden was first elected in 2009 and was re-elected in 2013 and 2015 and 2017. James Quin serves as the city administrator.